Sleep lovers now have an extra hour of shut eye, with the end of Daylight Savings Time seeing a one-hour rollback on the clocks and a precious extra hour of slumber. 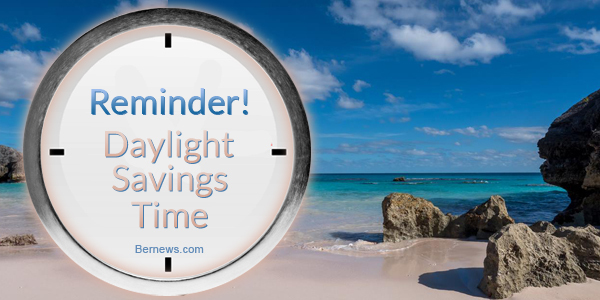 Daylight Saving Time ends on Sunday [Nov 5] at 2.00am. As you set your clocks back one hour, the Bermuda Fire & Rescue Service generally people to also take the opportunity to make another change that could save lives, asking that the public takes the time to change the batteries in smoke alarms and carbon monoxide detectors. Reports have shown a different perspective. For example, a 2007 report from the California Energy Commission showed that DST had essentially no effect on the state’s energy consumption. And a study in Indiana showed that DST actually increased energy demand, presumably because of an increased need for air conditioning. There’s a fair case that daylight-saving time is bad for us puny humans, even if it might save a little energy or stimulate the economy slightly. That’s why some people are campaigning to get rid of it. Imjustsaying.